Rat Control started in Alberta in the 1950’s when rats first started to appear in the province, coming slowly westward. 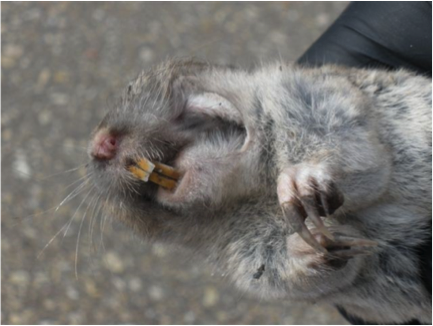 At that point Alberta already had the Agricultural Pest Act in place, and it was a simple matter to add the Norway Rat to the list of pests. 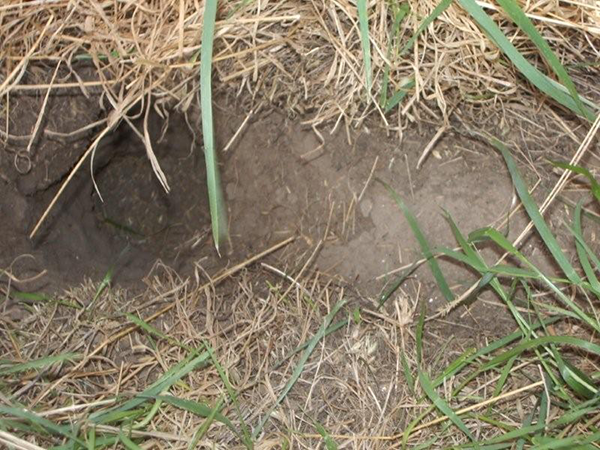 If you think you have seen a rat, or any suspected rat sign, please contact one of them to come investigate and help out if any problems are found. 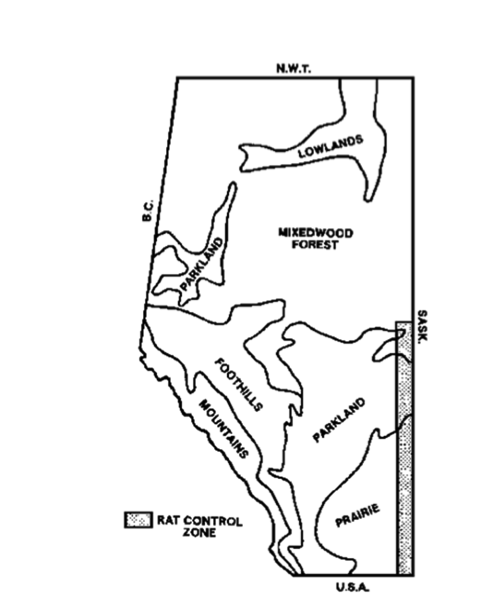 The Rat Control Zone is a geographical area covering the first 29 kilometres west of the Alberta/Saskatchewan border. 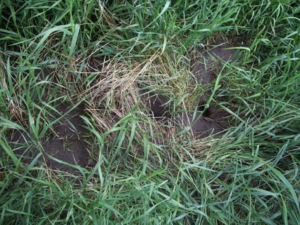 Each county or municipal district hires a Pest Control Officer(s) who inspect farms, buildings, and other potential rat harborage sites in the Rat Control Zone. All potential rat harborage sites are inspected at least yearly for rat activity. Any sign of rats found has control measures implemented. 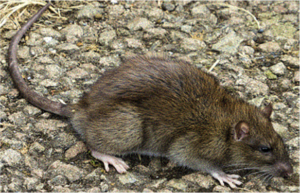 Bait is given to property owners in the Zone to set out for preventative rat control measures. A rat is a domestic rodent of the Rattus species. 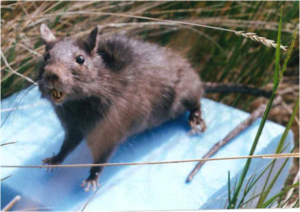 There are more than 12 species of Rattus, but only the Norway and Roof rats threaten Alberta’s rat free status. 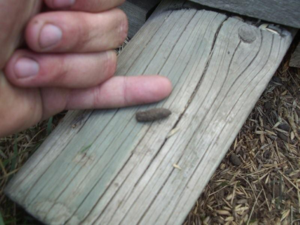 Approximately 22 cm body length, light brown, small ears, tail not as long as body. Approximately 20 cm body length, dark brown, large ears, tail longer than body. 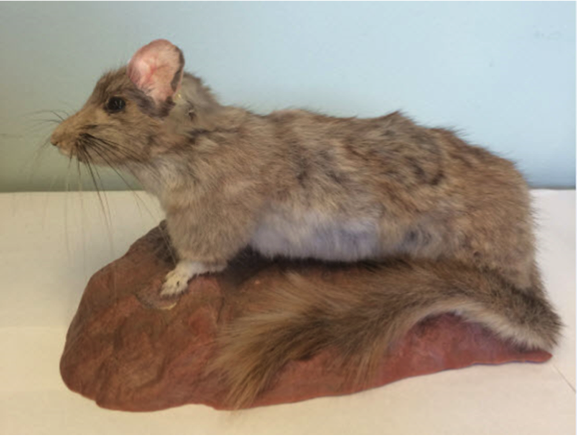 We have native species of rodents that are called rats, like the Bushy Tailed Wood rat and the Ord’s Kangaroo rat that are beneficial species and should not be considered a detrimental rat. Body approximately 15cm long. 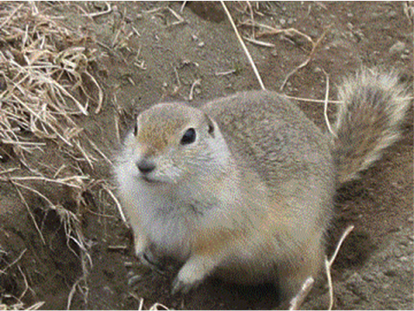 Note cheek pouches and claws, with short tail. Body approximately 30cm long. Note large toe nails on hind feet. Body approximately 8cm long. Big ears, big eyes, long and thin tail. Body approximately 10cm long. Small ears, big eyes, short tail. Body approximately 20cm long. Big ears, bushy tail. It’s a good idea to always keep an eye out for rats. Since they are highly secretive animals, it’s more common to identify evidence than to see the rats. 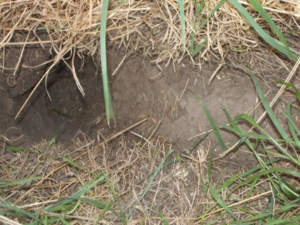 There are various signs to determine if a rat has established in your area. 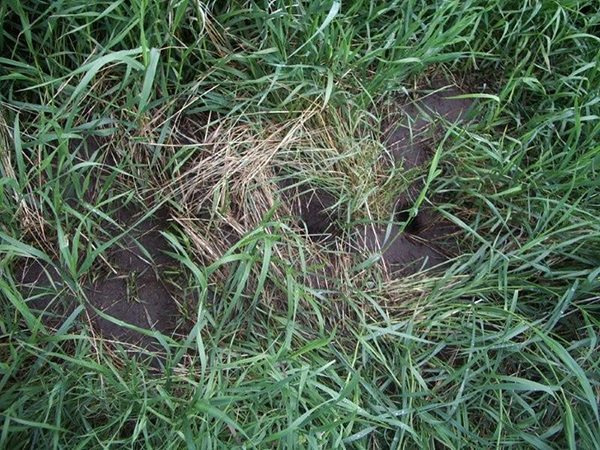 Below are some signs to watch for, followed by a collection of pictures to demonstrate signs of rat presence. Remember, if you see suspicious signs contact your local pest control officer to come investigate. 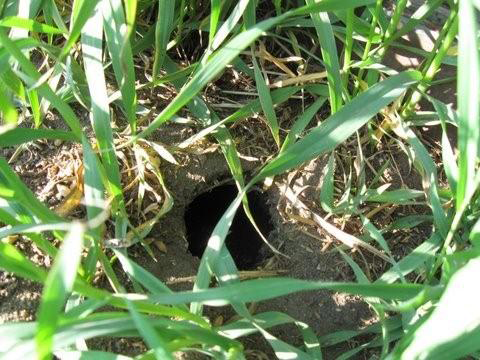 The cylindrical burrow entrance of a Norway rat in soil, straw or hay bales measures about 5 to 7.5 cm (2 to 3 inches). 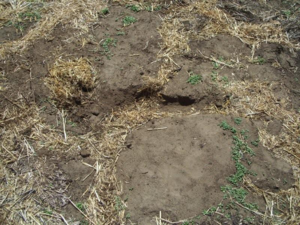 Unlike native rodents, the burrow entrance of a rat is clean of debris and excavated soil particles. 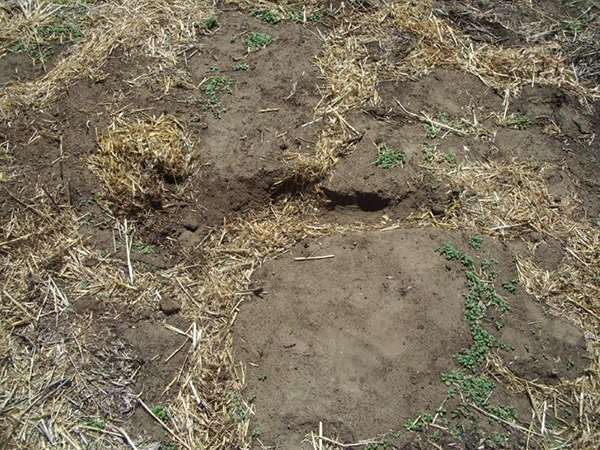 Rats leave well-beaten trails about 5 centimetres (2 inches) wide from their nest areas to food and water sources. 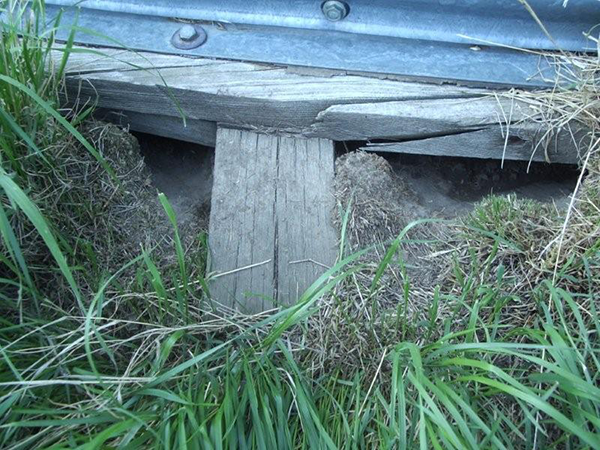 Rats often dig lengthy travel runs under objects such as bales, planks, granaries, ply board, and even idle machinery to move from area to area. 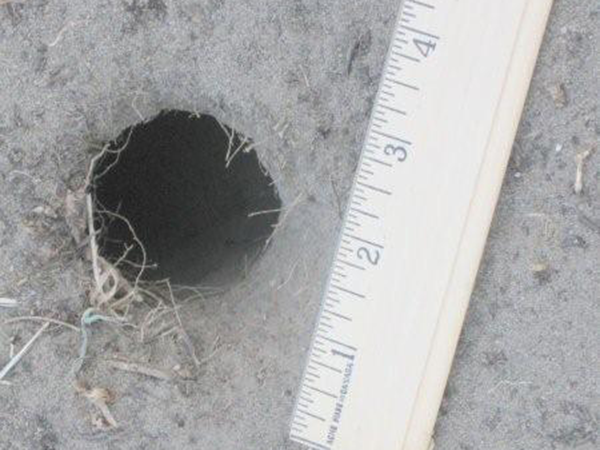 The average size of the circular-shaped rat hole in walls and floors is 5 to 7.5 cm (2 to 3 inches) in diameter, but can be considerably larger, depending upon the material. 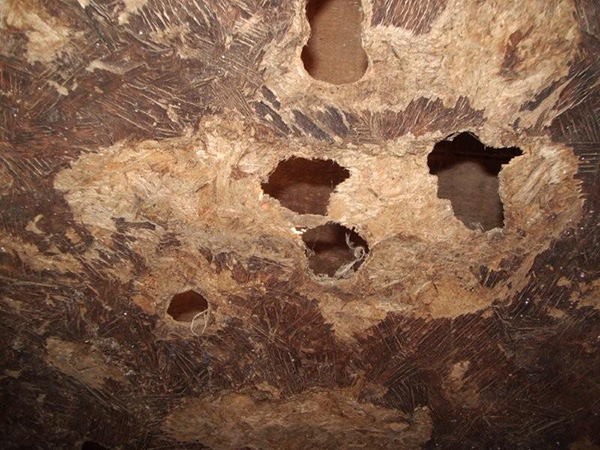 Rats will make holes in walls or floors soon after invasion – wall holes are usually just inches above the floor. Holes in floors are generally close to walls or under-supporting skids or poles. Rats must chew continuously to wear down incisor teeth (front teeth) that grow an amazing 5 to 10 cm (2 to 4 inches) per year. 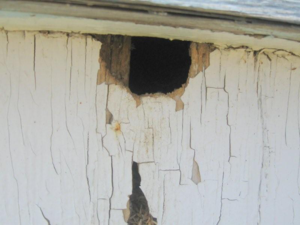 Most often, rats will chew materials close by such as plywood, structural woodwork, plastic panelling, frozen ground and even concrete. Rats produce up to 25,000 droppings per year, so they can usually be detected if they have been present for even a short time. Rat droppings are blunt at both ends and the shape and size of an olive pit, measuring 1.25 to 1.5 cm (0.5 to 0.75 inches), and shiny black (Figure 5). Droppings fade in time and soon turn to grey-white. 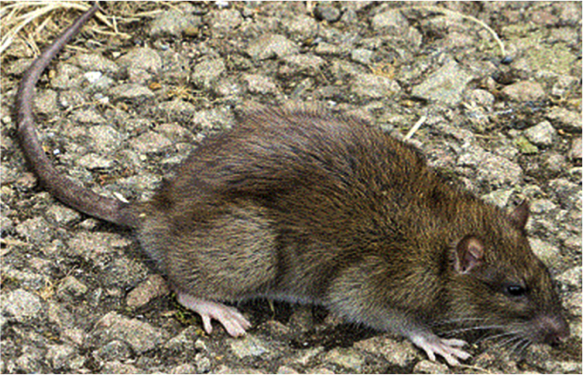 Norway rats are ground dwellers, so their nests and caches are built on or below ground level. The nest of a rat can consist of almost any material, usually food remains and other available items such as paper, straw, cardboard, rags or shredded plastic bags. 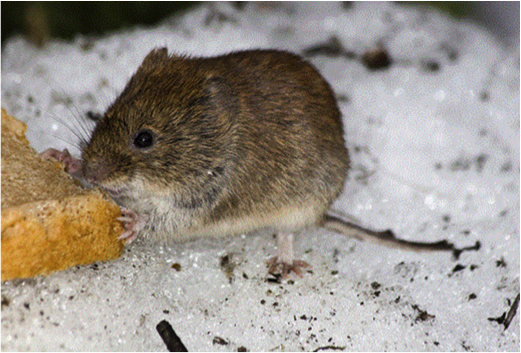 Rats may horde and cache food, which may or may not be eaten. The distinctive, musky odor of rats can be easily detected, particularly if rats are confined to a small area. 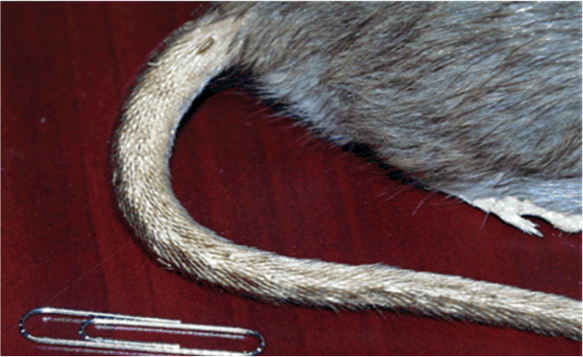 The oily hair of a rat leaves noticeable smudge marks on trails or hole entrances. The combination of oily hair, dust and dirt results in obvious dark-stained surfaces. Rat infestations can be prevented by any of three methods: food source removal, rat shelter removal, rat proofing. Rats are capable of eating almost anything. It is important to remove all possible food items such as garbage, empty food containers, spilled grain or feed. Keep pet food secure and clean up uneaten food. Keep domestic garbage in containers until disposed of. 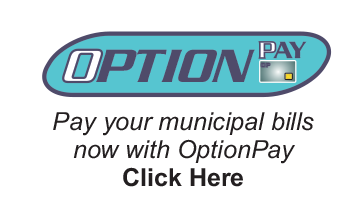 Properly maintain any garbage pit or compost pile you may have. Do not give rats a chance. Remove any and all possible food sources. Rats can and will make any object their temporary or permanent home as long as they can crawl underneath. 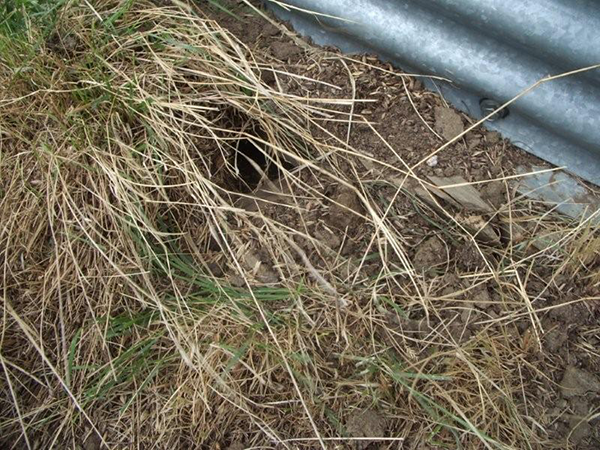 Until a rat can seek out permanent cover, it will use any flat object lying on the ground including tires, planks, square bales, junk, etc. Keep your property clean and tidy. 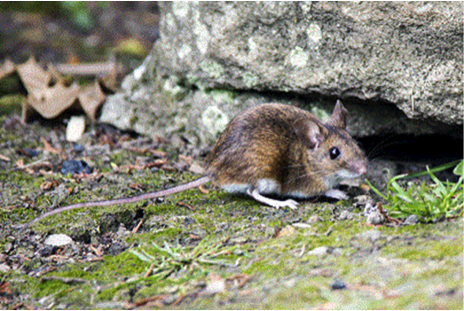 Buildings with cement foundations and floors, as well as metal siding, help eliminate rat habitat. 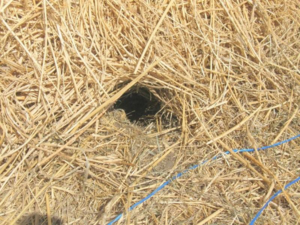 By elevating farm out-buildings, protecting doorways and windows, using cement floors for sheds, granaries, warehouses and industrial structures, rats can be successfully turned away from potential shelter. 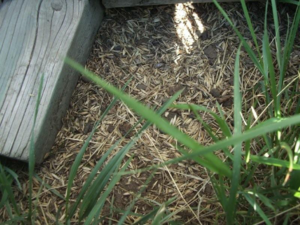 Efficient rotation of stored grain or forage bales will also discourage rat activity. 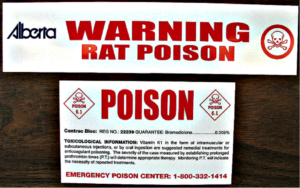 The most common and most effective rat bait used today is anti-coagulant bait that causes death in one to three days by painless internal bleeding. 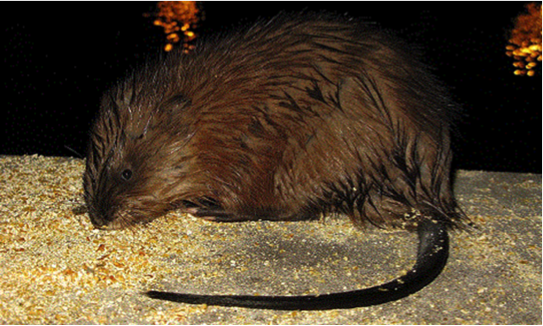 Pre-mixed anticoagulant rat bait in oats groats, pellets or blocks, or in concentrated form for water baiting are the most suitable rat baits for Alberta. They are also one of the safest rat baits in use today. 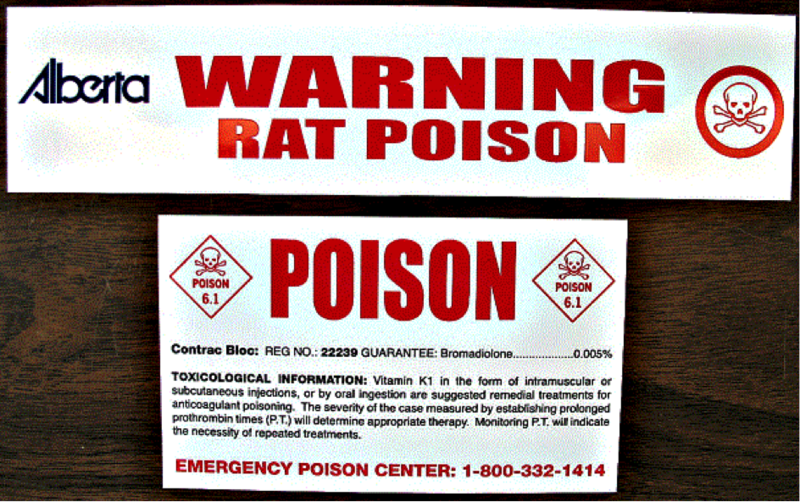 Some anticoagulant rat bait may require several feedings to produce death. Newer rat baits such as bromodialone, brodifacoum difethialone require only a single feeding to kill rats but are less safe to non-targets, such as pets and livestock, than multiple feeding baits. The newer baits still require up to three days of consumption to kill rats. For safety reasons, only multiple feeding rat bait should be used near occupied buildings and all outside baiting needs to be placed in approved bait stations. Always use appropriate baits. Use dry bait (oat groats, pellets or block) where moisture or water is available, and water bait (Liquatox water soluble bait) in dry conditions. Rats can obtain daily moisture requirements from solid foods such as grain, green feed, and even packed and covered garbage. Proper placement of rat bait will ensure maximum results. Place bait where rats will find it easily. 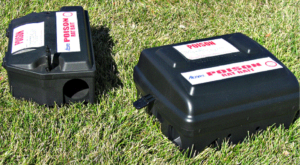 Place bait in all potential rat habitat in secure bait stations or where children, pets, and non-targets cannot access it. Keep fresh bait out at all times as long as rat activity is seen or suspected. Set bait in obvious rat habitat such as bale stacks, under granaries, barns, shelters, silage pits, abandoned buildings, nuisance grounds, and garbage facilities. 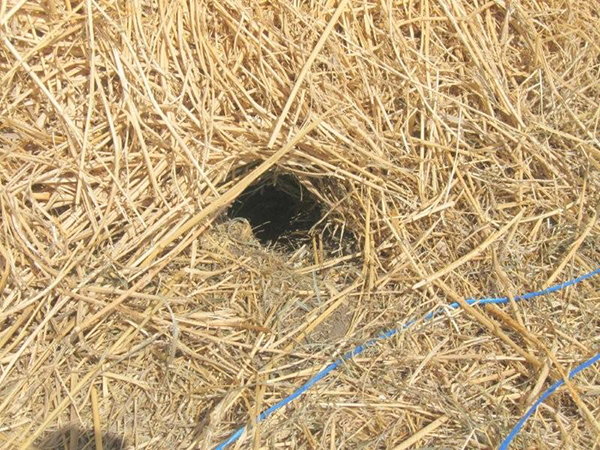 Stacked green feed or straw bales, place rat bait under the bottom bales. Set out one bag of bait under every other bottom bale. Bait can also be set among the bales where rats can easily find them. 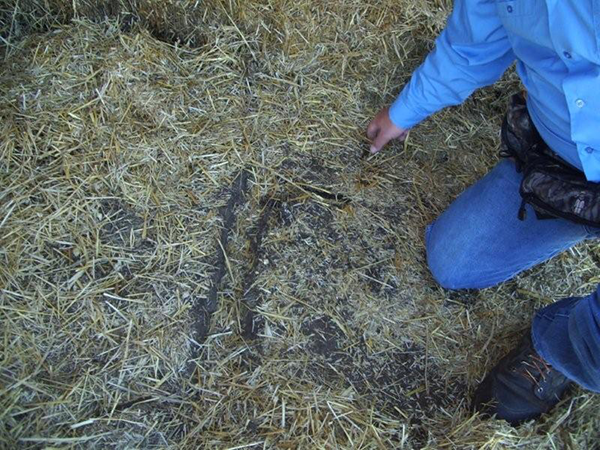 The bait does not have to be covered or protected when placed in the bales as the stack goes up. 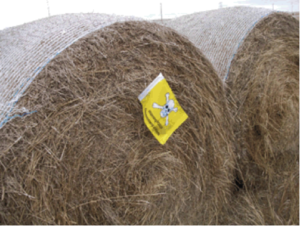 Poison labels must be put on the bale stacks. 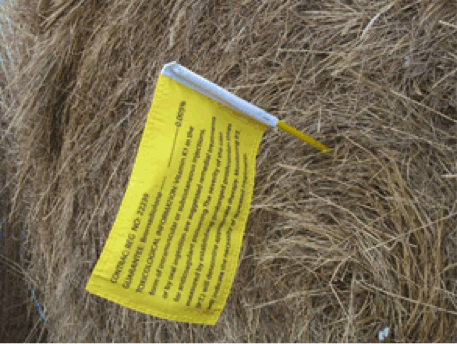 Rat bait can be placed after the bale stack is completed. Set bait under protective cover such as plywood, sheeting, or in approved bait stations around the outside of the stack at several locations. Set out one bag of bait for every 10 to 20 bales stacked. 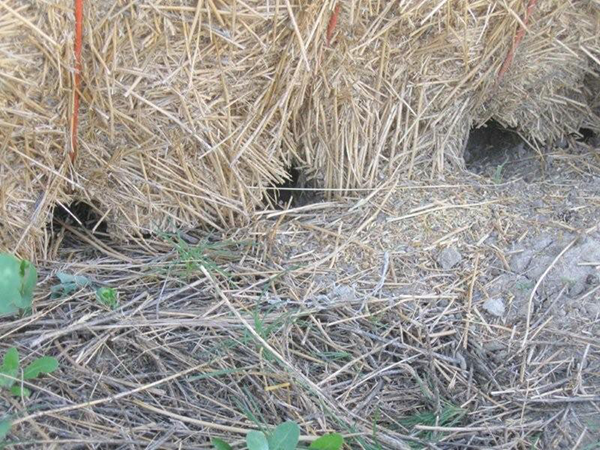 To discourage rats, leave a space between each bale sitting on the ground, and only stack two bales high. 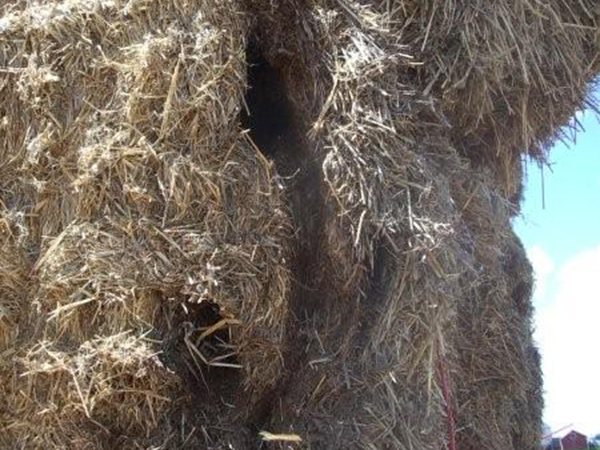 Do not keep bales for more than one year. Buildings on skids or poles can be baited. 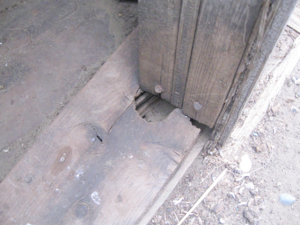 Place bait under the structure between the skids. Bait can also be set between double walls or false floors. To encourage bait consumption, open one bait bag and spill some bait for rats to find quickly. Use all-weather bait when baiting silage pits. Bait in a paraffinized block (bromodialone) or (diphacinone) is preferred. 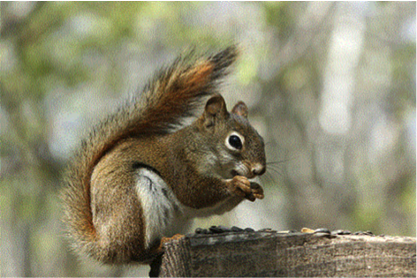 Dry cereal baits may be used; however, care must be taken to ensure the bait does not become moldy or soggy. For best results, place rat bait in properly constructed bait stations. Use permanent bait stations in high-risk areas. Particularly where rats have been found before, permanent bait stations should be set out and maintained to prevent recurring infestations. 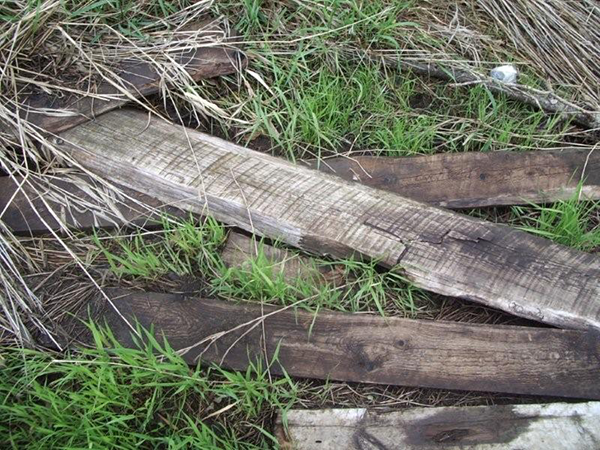 Permanent bait stations should be made of plywood, sheeting, or dressed lumber to contain and protect bait while allowing direct and unrestricted access to bait. Baffles must be placed about 10 cm in the entrances of the bait stations to prevent bait from spilling out. 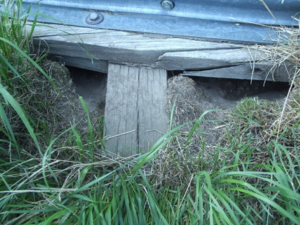 The bait stations must be secured to the ground with a spike or screw to prevent children and animals from moving them. 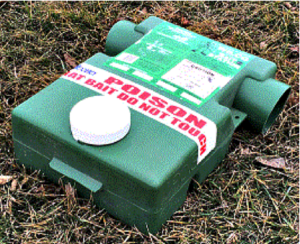 All bait stations must be labeled with Warning Poison and a skull and cross bones with name, registration number, guarantee, and toxicological information.